Padma Newsome | Will You Miss Me When I'm Gone? Despite the devastation, they folks at NewAm have forged ahead with plans for a killer lineup for the next installment of their groundbreaking concert series at Merkin Concert Hall in Manhattan. It’s something we here at Will You Miss Me When I’m Gone? always look forward to. The 2013 edition, which kicks off in late January, offers one of the strongest lineups ever. It’s hard to know where to start. 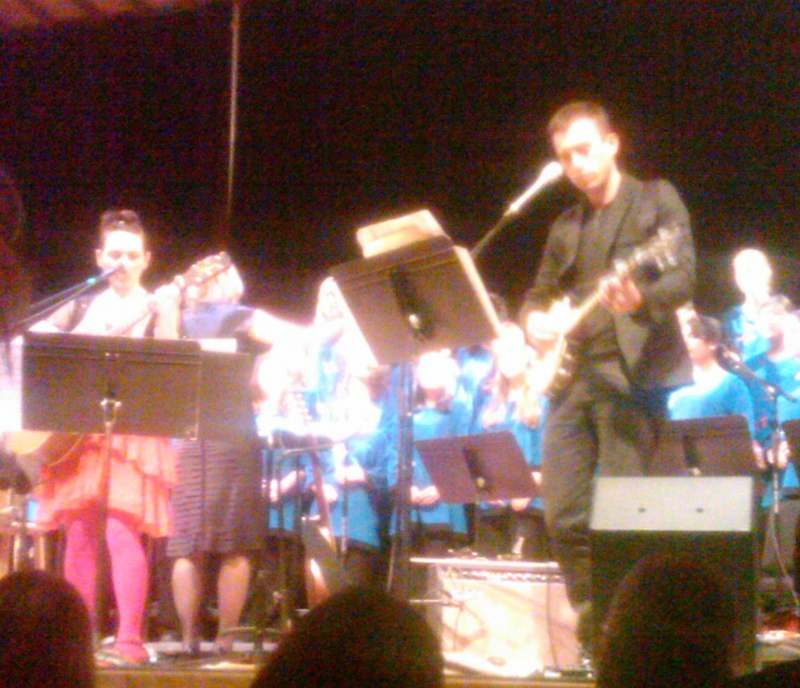 My Brightest Diamond’s Shara Worden with the Brooklyn Youth Chorus? Check. Clogs with NewAm founder Sarah Kirkland Snider? Check. Deerhoof and Dal Niente with Marcos Balter? Check. Laurel Halo, Julia Holter, Daniel Wohl and Transit (an adventurous ensemble that my pal Andie Springer is involved in)? Yep. The Bang on a Can People’s Commissioning Fund Concert? Yes, indeed. I could go on. But you get the idea. Check out the full schedule. And buy tickets. Now. You won’t want to miss any of these shows. For schedule, tickets and more info, click here. Single tickets are just $25, while a festival pass is a mere $150 — and worth every penny. I wasn’t sure whether it would be as a member of the audience or the onstage ensemble — though I hoped for the latter. After all, the prolific Stevens has never been shy about sharing his talents with his friends. We’ve seen him hang quietly in the back of clubs like (Le) Poission Rouge, listening to the music of one of his musical idols, Steve Reich. 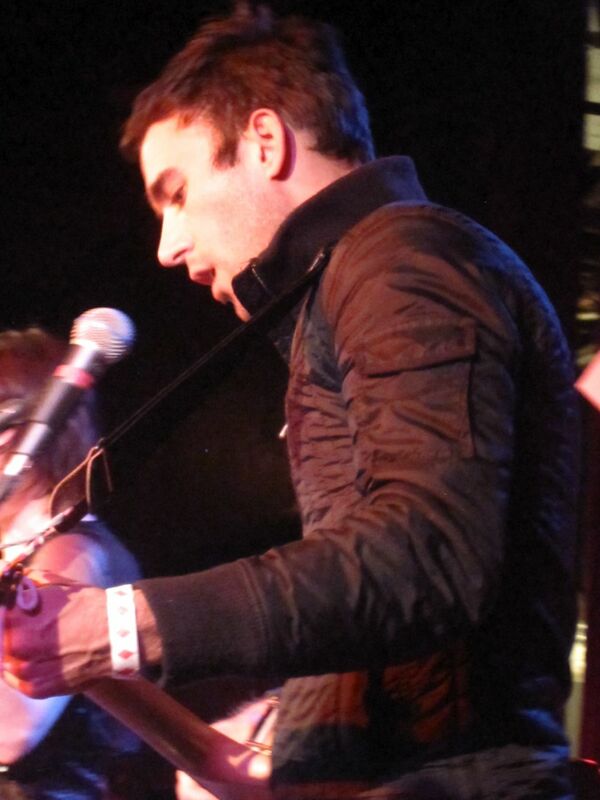 And we’ve seen him take the stage with other friends before, including Clogs at the Bell House last March. Sufjan did not disappoint us. He came, he played banjo and sang We Were Here, acting in his self-effacing way just any other hired musician. It was a wonderful moment and a delightful surprise. But I don’t want to sell Clogs short. The concert was delightful even before Sufjan arrived onstage. 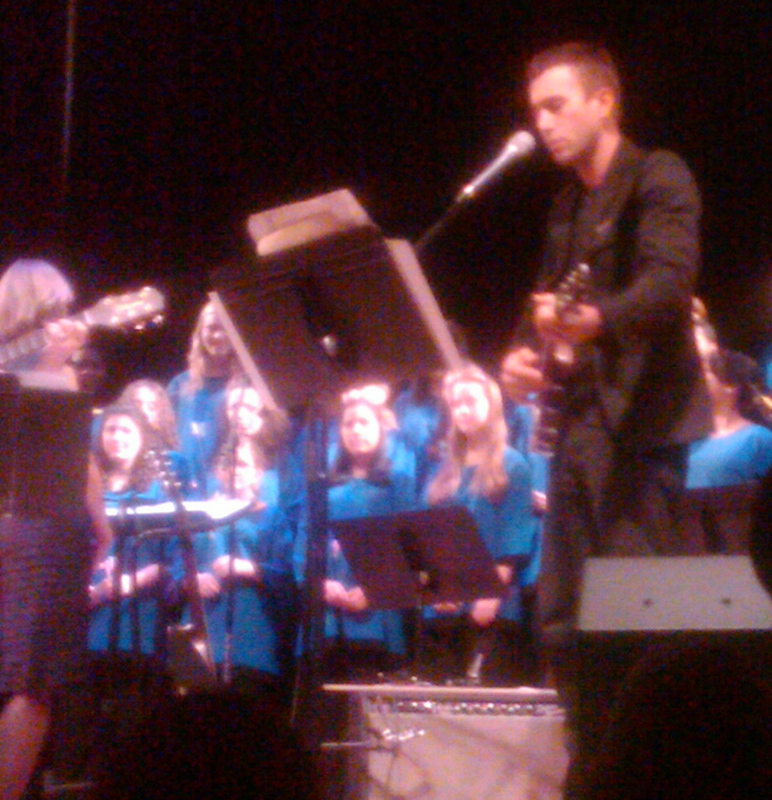 Sufjan Stevens joins the Clogs on banjo. 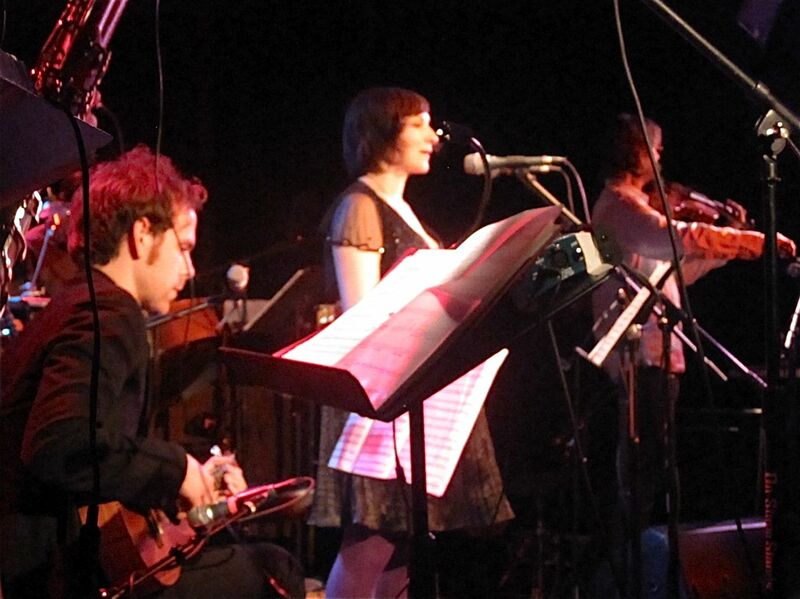 The Clogs, with Padma Newsome on vocals, violins, harmonium, keyboard and a few other instruments, and Bryce Dessner (The National) on guitars and other strummed strings, entranced the crowd at The Bell House in Brooklyn on Wednesday night. A very pregnant Shara Worden (My Brightest Diamond) added her own beautiful, haunting vocal vocal touches. Other permanent members of Clogs are Rachael Eliott on bassoon and Thomas Kozumplik on percussion. The Bell House performance was supplemented by a second percussionist and horn section at times. But the real surprise of the evening was greeted by an audible gasp when Sufjan Stevens appeared onstage to play banjo on one song. Clogs music is a bit difficult to pigeonhole. It’s definitely not rock, but it’s not classical. It bridges the two and winds up being unique. At one point Bryce made reference to a review that called one of the group’s songs “knotty.” Shara promised to try to sing in as knotty a fashion as possible.